Hello there friends! 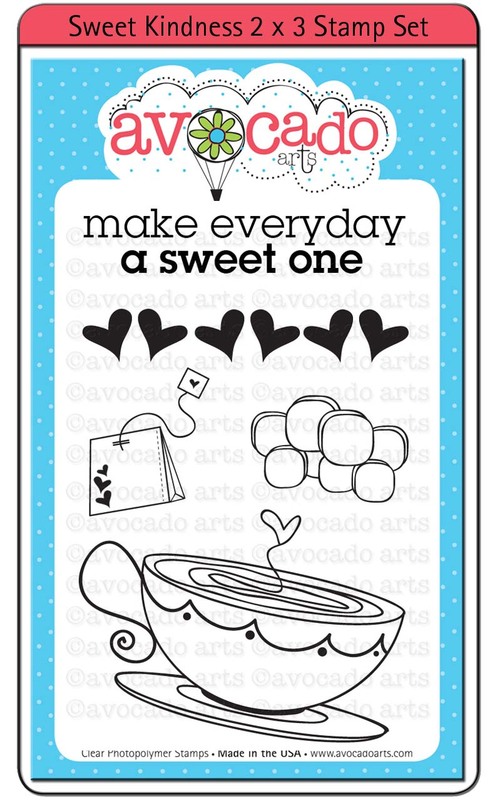 Today is sneak peak day with Avocado Arts. I love this day! The Pit Crew combines the current set with a sneak of next month's set. Today's card has a mini sneak peak. Can you find it? I stamped the cute tree coming slightly off the card to make it look like a tree branch, then I added some die cut and punched shapes. The punched circle the flower is layered on along with the red and orange hearts are next month's peaks--- cute and fun patterns! I am a sucker for patterns and shapes, so I instantly fell for these little ones. 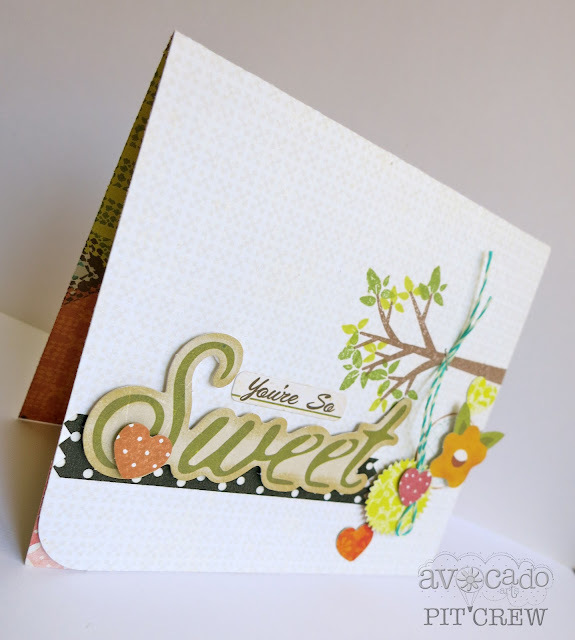 Add some interest to your card by layering sentiments, small shapes and other elements with dimensional foam tape. 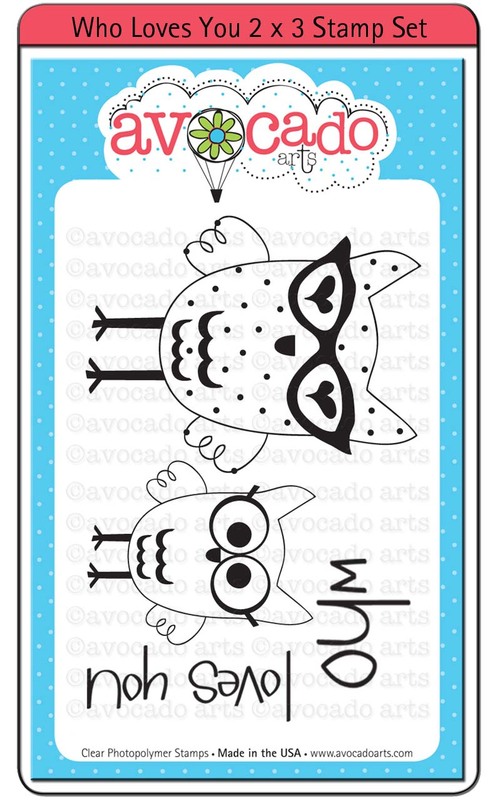 So, as mentioned on the Avocado Arts facebook page, were having a giveaway of three adorable little mini sets! Make sure to leave a comment on each Pit Crew blog for a chance to win! Winners will be picked randomly on August 17th and announced on the blog and facebook page. Here's what you could win! Well, that's it for me today! Make sure to stop by the other Pit Crew blogs for amazingly creative and inspiring ideas! Oh! I love the hearts! I might have to join the club now so I can get those hearts. Just love everything about this card. Love the big 'sweet' sentintment, and how you used the tree, the twine and little punched shapes/ cut outs. Great job! and it is a sweet card. Great colors on your project! 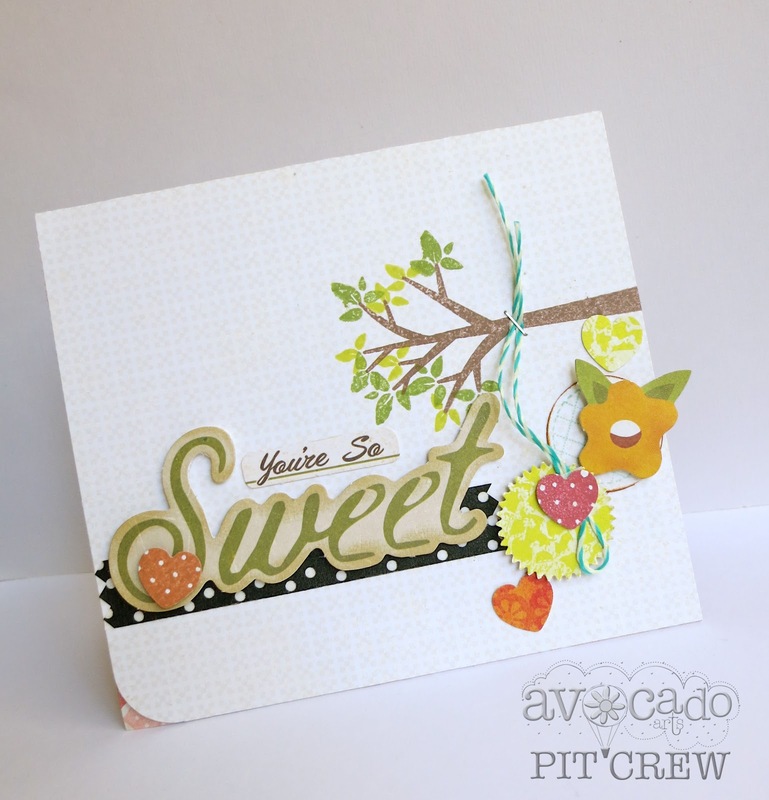 Adorable stamp sets and such cute projects, thanks for a great blog hop! What a cute card! Love everything about it. What a beautiful card! I love the way you used the tree as a branch! Genius. What a beautiful card! I love the way you used the tree as a branch - genuis! Very sweet--I like how you used the tree as a branch. cute...live how you turned the tree around to make a branch. Love, love, love your card. Super cute. sweet card ;) I like how you popped off more than one element on your card. Nice use of lots of different elements on your card. Very pretty! I love adding dimension to my cards as well. 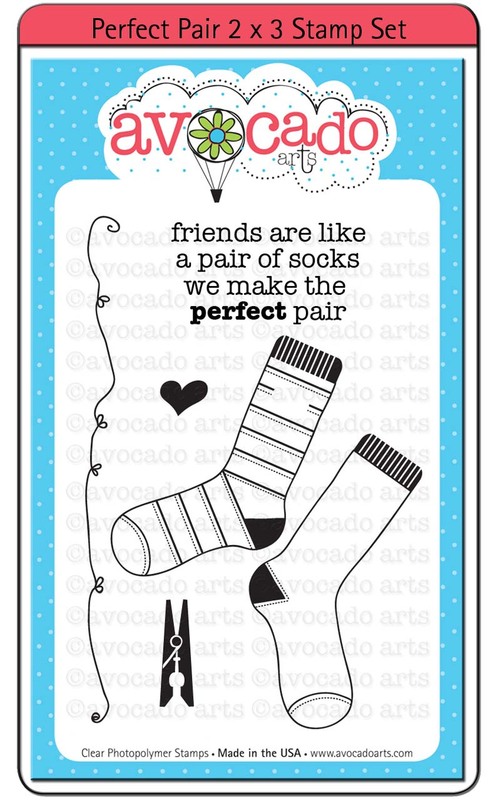 What a delightful card design!! Thanks so much for sharing! Awesome card, Emily! You're so good at combining elements. Love your Card! Colors are nice and I really like all the embellishmnets you added. Very nice.